Probiotic Bifidobacterium longum NCC3001 Reduces Depression Scores and Alters Brain Activity: A Pilot Study in Patients With Irritable Bowel Syndrome. Pinto-Sanchez MI, Hall GB, Ghajar K, Nardelli A, Bolino C, Lau JT, Martin FP, Cominetti O, Welsh C, Rieder A, Traynor J, Gregory C, De Palma G, Pigrau M, Ford AC, Macri J, Berger B, Bergonzelli G, Surette MG, Collins SM, Moayyedi P, Bercik P. Gastroenterology. 2017 Aug;153(2):448-459.e8. doi: 10.1053/j.gastro.2017.05.003. Epub 2017 May 5. Dr. Brenner is a Board Certified Rehabilitation Psychologist, and a Professor of Psychiatry, Neurology, and Physical Medicine and Rehabilitation (PM&R) at the University of Colorado, Anschutz School of Medicine, and the Director of the Veterans Integrated Service Network (VISN) 19 Mental Illness Research, Education, and Clinical Center (MIRECC). She is the Research Director for the Department of PM&R. Dr. Brenner is also a Fellow of the American Psychological Association, Division 22, Rehabilitation Psychology. Her primary area of research interest is traumatic brain injury, co-morbid psychiatric disorders, and negative psychiatric outcomes including suicide. She serves as the Research Division Director for the American Association of Suicidology, and an Associate Editor of the Journal of Head Trauma Rehabilitation. Dr. Brenner has numerous peer-reviewed publications, participates on national advisory boards, and is currently co-authoring a book regarding neurodisability and suicide. Examples of grant funded projects include: A Brief Intervention to Reduce Suicide Risk in Military Members and Veterans (U.S. Army Medical Research and Materiel Command Military Operational Medicine Research Program), Window to Hope: Evaluating a Psychology Treatment for Hopelessness Among Veterans with Traumatic Brain Injury (Military Suicide Research Consortium), and Health and Wellness Intervention for Individuals with TBI (National Institute on Disability and Rehabilitation Research). Dr. Campbell brings more than 22 years of drug discovery and development experience to the team, with an emphasis on CMC and manufacturing. He has built and led R&D teams involved in a variety of environments from early stage research through to advanced clinical development in small start-ups to mid-sized companies. 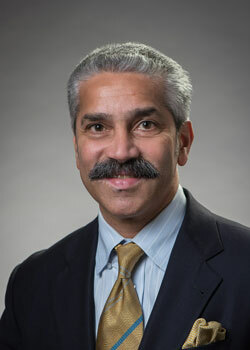 Prior to joining Axial, Dr. Campbell held various leadership roles at biopharmaceutical and chemical manufacturing companies including Corden Pharma, Surface Logix and Insmed Inc. At Corden Pharma, Dr. Campbell served as Head of Product Management and Business Development for Carbohydrates and Lipids and as Head of Operations for Corden Pharma’s Woburn, MA manufacturing site. Prior to Corden Pharma Dr. Campbell served as Vice President of R&D at Ancora Pharmaceuticals, successfully triaging the company through the acquisition and integration process by Corden Pharma. 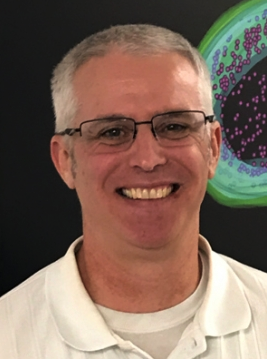 While at Surface Logix and Insmed, Dr. Campbell played an integral role in the discovery and development of five clinical stage drug candidates, including small molecules and biotherapeutics. He holds a BSc with Honours in Chemistry from St. Francis Xavier University, a Ph.D. in Organic Chemistry from the Queen’s University, and did post-doctoral research in natural product synthesis at Duke University. He has consulted for several start-up companies in multiple technology and therapeutic areas in the Greater Boston area and is co-inventor on 15 issued patents. Martha Carlin is Co-founder and CEO of The Biocollective, a company that offers members the opportunity to participate in scientific discovery by providing microbiome samples for researchers. With consent, every sample is divided and sold to academic and commercial microbiome researchers. Phase I of the business is sample collection, preservation and building a base of research customers. Phase II offerings will include the opportunity for members to store a sample while they are healthy for potential use in the restoration of microbial balance in the future. Members will share in the revenues generated from the sale of their samples and ultimately in shared discoveries from their research customer base. The BioCollective, links personal health history, metagenomics and microbiome analysis to uncover previously unknown links between chronic disease and diet, stress, and environment. She is an entrepreneur and innovative systems thinker with a unique ability to connect dots to solve problems in new ways. She has been driven to solve the rise in complex disease through a systems approach, with the microbiome as the tool for connecting the dots, especially in Parkinson’s and Alzheimer’s Diseases. She is also an investor and advisor for Pure Cultures LLC, a contract manufacturer of probiotic cultures for the human and animal sectors. Pure Cultures products are tailored to meet their client’s needs. They offer single and multiple strain blends. In addition, they are a custom fermentation company offering a varying size of reactors to produce client’s proprietary probiotic strains. Dr. Silke Appel-Cresswell is a movement disorder neurologist, trained in Germany, London, UK and Vancouver, BC. She is an Associate Professor (grant tenure) for Medicine/Neurology at the University of British Columbia and holds the Marg Meikle Professorship for Research in Parkinson’s disease. Her research focusses on the role of the microbiome in Parkinson’s disease and other brain disorders, coping strategies, resilience and neuropsychiatric features of Parkinson’s as well as care delivery in Parkinson’s. She has established iCAPTURE PD, a large registry for Parkinson’s and related disorders which serves as a resource to understand clinical patterns and clinic-genetic correlations. 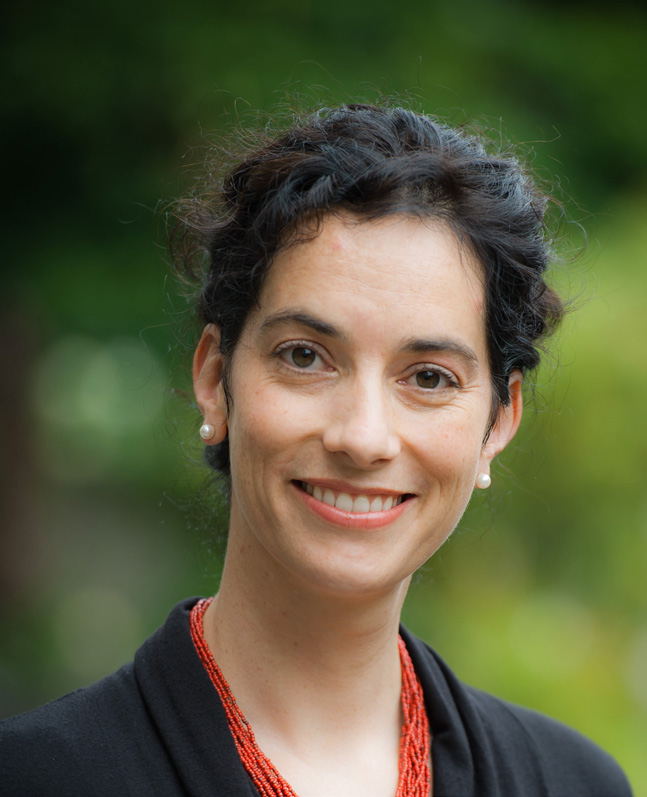 Dr Appel-Cresswell is a founding director of the BC Brain Wellness Foundation to foster wellbeing in chronic brain disease and aging through exercise, arts, nutrition, mind care, and education. She serves as the secretary of the Canadian Movement Disorder Group, as a scientific advisor for Parkinson Canada and for the Dystonia Medical Research Foundation Canada as well as a peer reviewer for several scientific journals. She has been a speaker and has served on the organizing committees of several regional, national and international conferences. Dr. Cryan is Professor & Chair, Dept. of Anatomy & Neuroscience, University College Cork and serves on the University’s Governing Body. 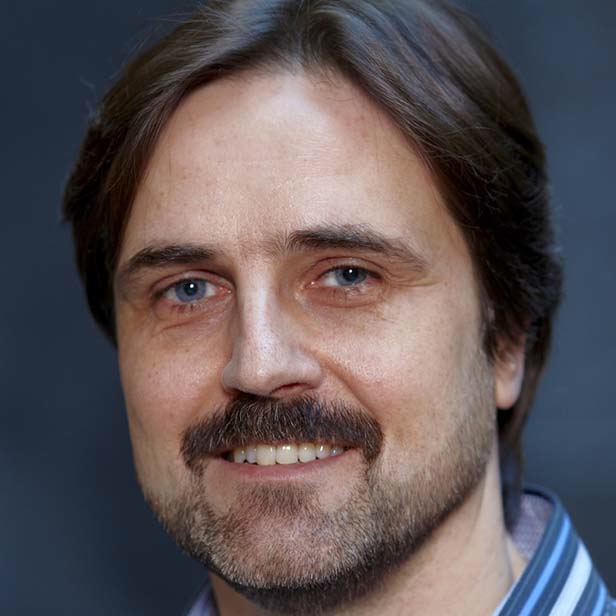 He is also a Principal Investigator in the APC Microbiome Institute. He received a B.Sc. (Hons) and PhD from the National University of Ireland, Galway, Ireland. He was a visiting fellow at the Dept Psychiatry, University of Melbourne, Australia, which was followed by postdoctoral fellowships at the University of Pennsylvania, Philadelphia, USA and The Scripps Research Institute, La Jolla, California. He spent four years at the Novartis Institutes for BioMedical Research in Basel Switzerland, as a LabHead, Behavioural Pharmacology prior to joining UCC in 2005. Prof. Cryan’s current research is focused on understanding the interaction between brain, gut & microbiome and how it applies to stress, psychiatric and immune-related disorders at key time-windows across the lifespan. Prof. Cryan has published over 340 peer-reviewed articles and book chapters and has a H-index of 73. He is a Senior Editor of Neuropharmacology and of Nutritional Neuroscience. He is on the editorial board of a further 15 journals. He has edited three books including “Microbial Endocrinology: The Microbiota-Gut-Brain Axis in Health and Disease” (Springer Press, 2014). He has received numerous awards including UCC Researcher of the Year in 2012; the University of Utrecht Award for Excellence in Pharmaceutical Research in 2013 and being named on the Thomson Reuters Highly Cited Researcher list in 2014. He was a TEDMED speaker in Washington in 2014 and is President-elect of the European Behavioural Pharmacology Society. Dr. Gareau studied physiology at McMaster University where she obtained her PhD in the laboratory of Dr. Mary Perdue assessing the impacts of early life stress on gastrointestinal physiology. She then completed post-doctoral studies at the Hospital for Sick Children with Dr. Philip Sherman focused on the microbiota-gut-brain axis following infection with a bacterial pathogen. Dr. Gareau then did additional training with Dr. Kim Barrett at UC San Diego, prior to starting her own group at UC Davis in 2014. Dr. Gareau’s laboratory is primarily interested in studying the microbiota-gut-brain axis and how intestinal dysbiosis can detrimentally impact behavior, particularly cognitive function. By using mouse models of infection with enteric bacterial pathogens or administration of beneficial probiotic bacteria, her group has shown that this can impact cognitive function, and regulate anxiety-like behavior. In addition, her laboratory has a particular interest in how the microbiota-gut-brain axis responds to stimulation with psychological stressors and under conditions of intestinal inflammation, such as in models of inflammatory bowel disease (IBD). These studies are funded by the NIH and the Crohn’s and Colitis Foundation of America. Madelyn Houser is a 5th year Ph.D. student in Emory University’s Immunology and Molecular Pathogenesis program. She is a Goldwater Scholar and NSF Graduate Research Fellow. Madelyn earned her B.S. from the University of Tennessee where she conducted structure/function studies of G protein-coupled receptors and transcriptomic analyses of an agricultural fungal pathogen. As a graduate student, she pursued her interests in host-microbe interactions and intestinal immunity, contributing to publications on mechanistic studies of a probiotic bacterium, the involvement of microparticles in neutrophil-mediated immune responses, and the effects of high-fat high-sugar diets on the gut-brain-liver axis. She brought gut-brain studies into the lab of Dr. Malú Tansey when she joined in 2014. The general interests of the laboratory include investigating the role and regulation of neuroinflammatory and immune system responses in modulating gene-environment interactions that determine risk for neurodegenerative and neuropsychiatric diseases. Madelyn’s research focuses on elucidating the role of intestinal inflammation in the development and progression of Parkinson’s disease pathology and includes human as well as mouse studies. The goal is to identify mechanisms of pathogenesis that can be targeted therapeutically to slow or prevent the progression of pathology and disease symptoms. Denise joined Seventure Partners in September 2015 as a Consultant in the Life Sciences team for the microbiome field. Denise is currently based in Aberdeen, Scotland. Dr. Klein is a Staff Scientist and Microbiology Platform Lead at Vedanta Biosciences in Cambridge, Massachusetts. At Vedanta, Brian leads the isolation and characterization of microbial strains from healthy donors which become part of our industry-leading Culture Collection, as well as downstream high-throughput screening of the Culture Collection. Brian obtained a B.S. in Biology from Bates College (USA), a Ph.D. in Molecular Microbiology from Tufts University School of Medicine (USA), and completed a postdoctoral fellowship at The Forsyth Institute/Harvard School of Dental Medicine (USA). During his Ph.D. (funded by an NIDCR F31 NRSA grant), Brian focused on mutagenesis and screening of mutant libraries of Porphyromonas gingivalis, a causative agent of periodontal disease in humans. This work culminated in defining the putative essential genes of the species, identifying novel species-specific mobile elements, and elucidating the genetic regions underpinning colony pigmentation in the species. During his postdoctoral fellowship (funded by an Alfred P. Sloan Foundation postdoctoral grant), Brian initiated a study of the nasal and salivary microbiomes of athletes, as well as the microbiome of indoor athletic facilities. This work allowed Brian to develop a study involving human subject sampling from scratch and physically be involved in every step of the process; from grant application to sampling execution, sample processing and data analysis. Dr. Mayer is a Gastroenterologist, Neuroscientist and Professor in the Departments of Medicine, Physiology and Psychiatry at the David Geffen School of Medicine at UCLA. He is the Executive Director of the G. Oppenheimer Center for Neurobiology of Stress & Resilience, co-director of the CURE: Digestive Diseases Research Center at UCLA, and member of the steering committee of the UCLA Microbiome Center. As one of the pioneers and leading researchers in the role of mind-brain-gut interactions in health and chronic disease, he has made major scientific contributions to the area of basic and translational enteric neurobiology with wide-ranging applications in clinical GI diseases and disorders. He has published more than 300 scientific papers (h-factor 100), and co-edited 3 books. He is the recipient of the 2016 Paul D McLean award from the American Psychosomatic Society and the Distinguished Mentor Award from the American Gastroenterological Association. 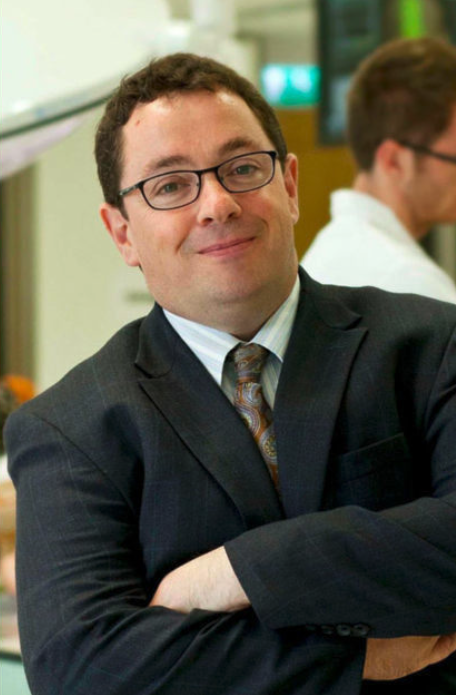 In addition to his ongoing research in chronic visceral pain and irritable bowel syndrome, his work has expanded into other areas of brain gut microbiome interactions, including the role of the gut microbiota brain interactions in inflammatory bowel disorders, food addiction in obesity, autism spectrum disorders. Dr. Mayer has been interviewed on National Public Radio, PBS and by many national and international media outlets including the Los AngelesTimes, Atlantic magazine, Time and Newsweek Magazine and National Geographic Explorer. He has spoken at UCLA TEDx on the Mysterious Origins of Gut Feelings in 2015, and his book The Mind Gut Connection has been published by Harper&Collins in July of 2016 and has been translated into more than 10 languages. 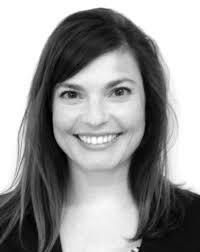 Amy Pooler is a Brain Health Specialist at the Nestlé Research Center, located in Lausanne, Switzerland. Dr Pooler has been with Nestlé Institute of Health Sciences since July 2014. 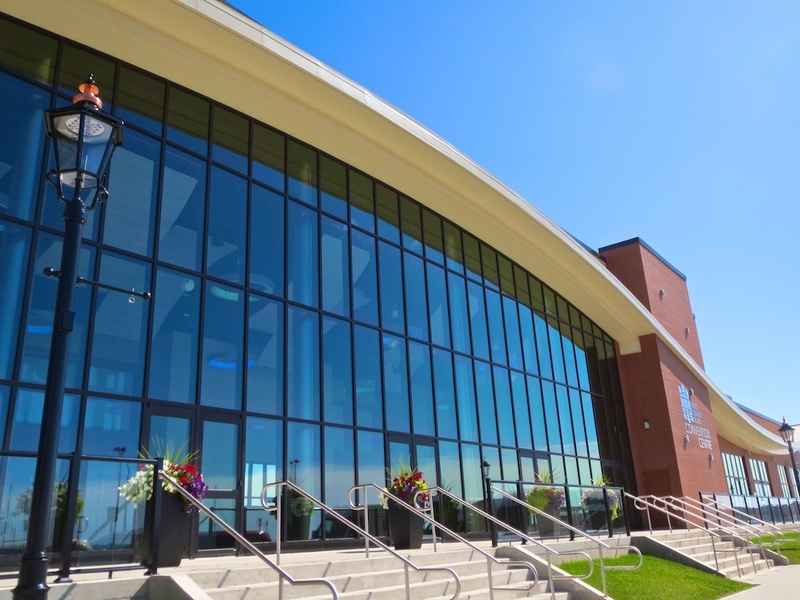 The Research Center is part of Nestlé’s extensive R&D network, and plays a lead role in breaking new scientific ground in the field of personalized science-based nutrition for the maintenance of health and prevention of chronic disease. Dr. Pooler has more than 15 years of experience in the field of brain research. Before joining Nestlé, she was a Lecturer and Alzheimer’s Research UK Fellow at Harvard University (Cambridge, MA, USA) and King’s College London (UK), where she lead research focused on mechanisms of neuronal dysfunction in Alzheimer’s disease and cognitive decline. Prior to that role, she completed post-doctoral fellowships at the University of Oxford (MRC Anatomical Neuropharmacology Unit) and King’s College London (Institute of Psychiatry). Her work at these institutions involved investigation into neurodegenerative disease and psychiatric disorders. 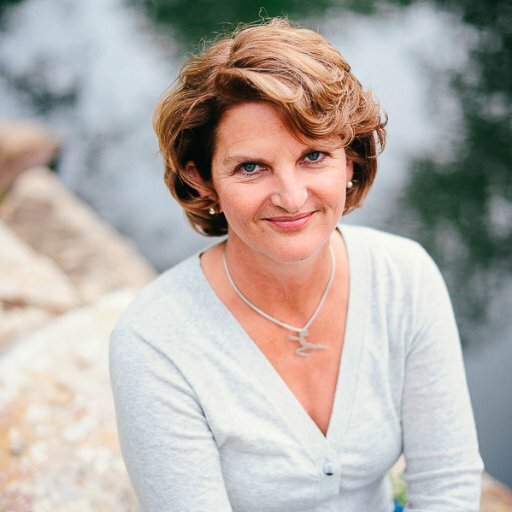 Dr. Pooler graduated from the Massachusetts Institute of Technology (Cambridge, MA, USA) with a PhD in Cellular and Molecular Neuroscience; her findings led to a novel nutritional approach for treatment of cognitive decline. Prior to her time at MIT, she graduated from Brown University (Providence, RI, USA) with a BSc in Neuroscience. Dr. Palacios is an Assistant Professor of Public Health at the University of Massachusetts and Visiting Scientist at Harvard University. Her research focuses on risk factors for neurological diseases, including Parkinson’s disease, cognitive decline/Alzheimer’s disease and multiple sclerosis. She is an epidemiologist with over a decade of experience working within large cohort studies. 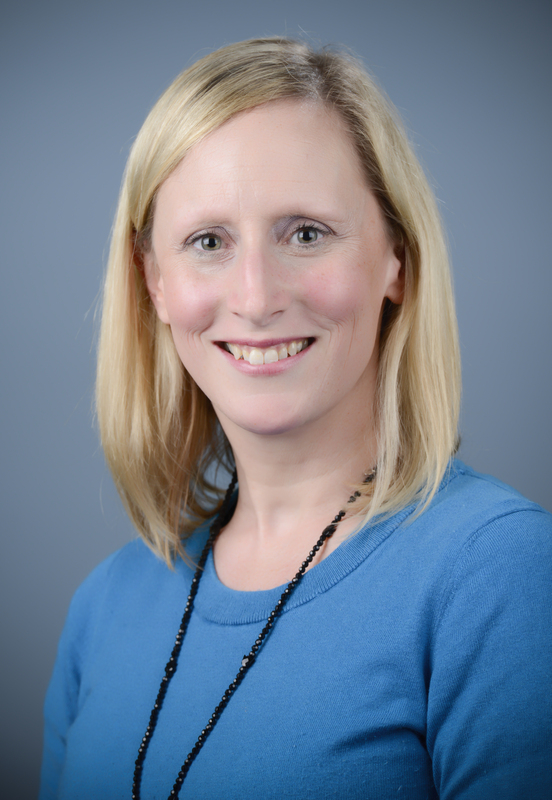 She is currently, the PI of an NINDS R01 “The Gut Microbiome and Parkinson’s Disease,” where she is examining the association between the gut microbiome and premotor Parkinson’s disease in two large prospective epidemiological cohort studies: The Nurses Health Study and the Health Professionals Follow-up Study. She also leads the UMass Parkinson’s Disease Microbiome Biorepository, which is recruiting de-novo PD patients and healthy controls for microbiome studies. Caroline Popper MD MPH is the CEO of Diversigen, a leading microbiome service and data company. Originally an internist and pathologist, she combines her medical and scientific perspective with knowledge gained from managing a wide spectrum of life sciences businesses in both Fortune 500 and start-up settings in the US and globally. She maintains a large venture and private equity network, sits on several company boards, and speaks internationally on healthcare innovation and value analysis. Dr. Popper received her medical degree from the University of the Witwatersrand (South Africa) and her M.P.H. from Johns Hopkins University (Baltimore). She completed her residencies in internal medicine and in pathology at Johns Hopkins. Dr. Scheperjans is a Neurologist at Helsinki University Central Hospital. 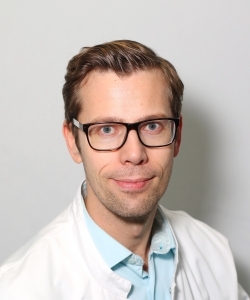 Dr. Scheperjans, MD, PhD, studied medicine at the University of Düsseldorf (Germany) and gained international experience as a visiting student in London, New York and Helsinki. He did his doctoral thesis about histological and neurochemical anatomy of the human brain in the laboratory of Prof. Karl Zilles. After graduation in 2006 Dr. Scheperjans continued his research at the Institute of Medicine at the Research Center Jülich and his thesis was awarded best thesis of the medical faculty in 2008. After moving to Finland, he started his training in neurology at Helsinki University Central Hospital. During this period Dr. Scheperjans completed a clinical research fellowship to develop his expertise in conducting clinical studies and trials. His main interests in neurological research are movement disorders and acute neurology including stroke, status epilepticus and neuroimaging. In 2013 Dr. Scheperjans received a degree as specialist in neurology. Currently he is continuing research on the involvement of microbiota in PD. In a ground-breaking study, funded by the Michael J. Fox Foundation, Dr. Scheperjans showed that the intestinal microbiome is altered in PD and is related to motor phenotype. Dr. Sisodia’s laboratory has been to develop and characterize transgenic animals that express FAD-linked variants of PS1 and APP to clarify the underlying biochemical and pathophysiological alterations that cause AD. His group has exploited these animals, as well as animals in which they have conditionally inactivated PS, to clarify issues relevant to axonal trafficking of membrane proteins, neurodegeneration, neuronal vulnerability, gene expression and APP/Ab metabolism. A significant effort is focused on understanding the cell non-autonomous effects of FAD-linked mutant PS1 expression on hippocampal neurogenesis. In future studies, they will focus heavily on the mechanisms that are responsible for the observed effects using temporal and system-specific conditional gene inactivation approaches. Extending their demonstration that enriched environments and exercise modulates Abeta metabolism and deposition in vivo, their ongoing efforts are focused on the role of polypeptides encoded by genes that are selectively regulated in these settings. Most recently, they have been exploring the impact of the microbiome in modulation of amyloid deposition in mouse models of AD, with two recent publications in this area. Antibiotic-induced perturbations in gut microbial diversity influences neuro-inflammation and amyloidosis in a murine model of Alzheimer’s disease. Minter MR, Zhang C, Leone V, Ringus DL, Zhang X, Oyler-Castrillo P, Musch MW, Liao F, Ward JF, Holtzman DM, Chang EB, Tanzi RE, Sisodia SS. Sci Rep. 2016 Jul 21;6:30028. Dr. Jun Sun is a tenured Professor of Medicine at the University of Illinois at Chicago (UIC), U.S.A.. She is an elected fellow of American Gastroenterological Associate. Her research interests are host-microbiome interactions in inflammation and cancer. 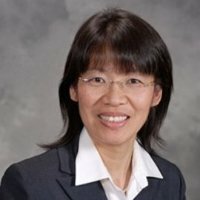 Her key achievements include: 1) characterization of vitamin D receptor regulation of gut microbiome in intestinal homeostasis and inflammation, 2) identification of dysbiosis and intestinal dysfunction in ALS, 3) characterization of bacteria in regulating intestinal stem cells, and 4) identification and characterization of the Salmonella effector protein AvrA in host-bacterial interactions. Dr. Sun has published over 150 scientific articles in peer-reviewed journals, including Gut, Cell Stem Cells, Nature Genetics, JBC, American Journal of Pathology, American Journal of Physiology-GI. She is the leading editor of three books, including a recent Nature/Spring book entitled “Mechanisms underlying host-microbiome interactions in pathophysiology of human diseases.” This book has shown a novel theme and multiple disciplinary topics of microbiome research for a broad audience. She is on the editorial board of more than 10 peer-reviewed international scientific journals. She services study sections for the NIH, American Cancer Society, and other national and international research foundations. Her research is supported by the NIH, DOD, and other research awards. Dr. Sun is a believer of scientific art and artistic science. She enjoys writing her science papers in English and poems in Chinese. She teaches her medical fellows biomedical knowledge and also the way to translate the Chinese poems. In addition to her research papers and books, her poetry collection《让时间停留在这一刻》“Let time stay still at this moment”, was published in January 2018 by the Chinese Literature and History Press.